KOLKATA: It was an inconsequential match last season when Bengaluru FC, having already won the I-League crown, were handed a 5-0 drubbing in their last league game by Mohun Bagan who finished second. 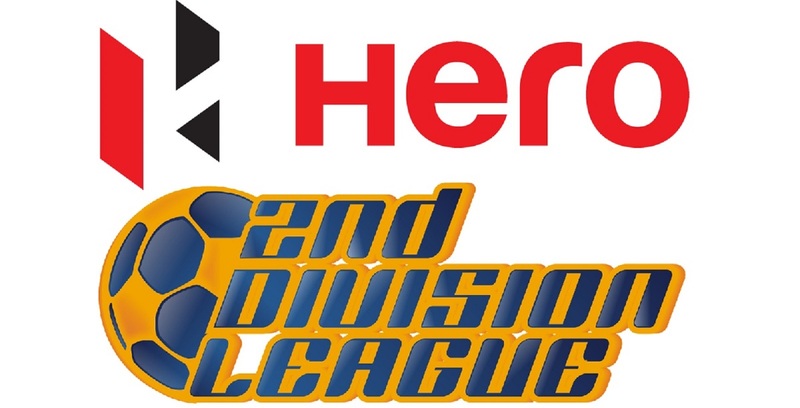 On Saturday, in front of 6,420 home supporters, the former league champions stole a march on their opponents with a facile 3-0 verdict at the Rabindra Sarovar Stadium. Yusa Katsumi (14‘, 53′) scored a brace either side of halftime while Darryl Duffy (25′) continued his red-hot form at home as Bagan avenged their 1-2 AFC Cup loss to the same opponents not long ago. 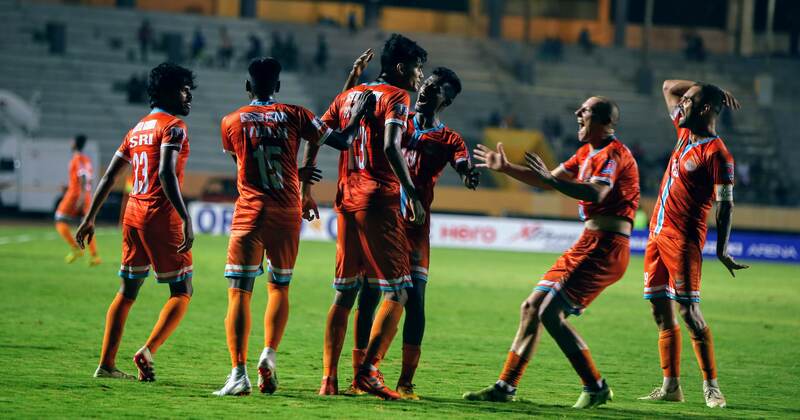 Bengaluru lined up in a 4-2-3-1 formation while Bagan struck to a more conventional 4-4-2 system. India strikers returning from national duty – a friendly against Cambodia and an AFC Asian Cup qualifier against Myanmar – Jeje Lalpekhlua (Bagan) and Sunil Chhetri (BFC) were kept on the bench. 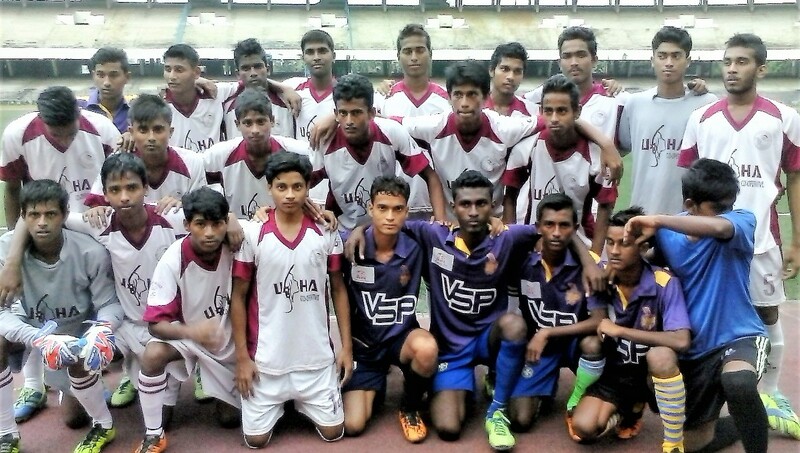 Bagan, who had U-22 players Subhashish Bose suspended and Raynier Fernandes injured, gave a start to Azharuddin Mallick. 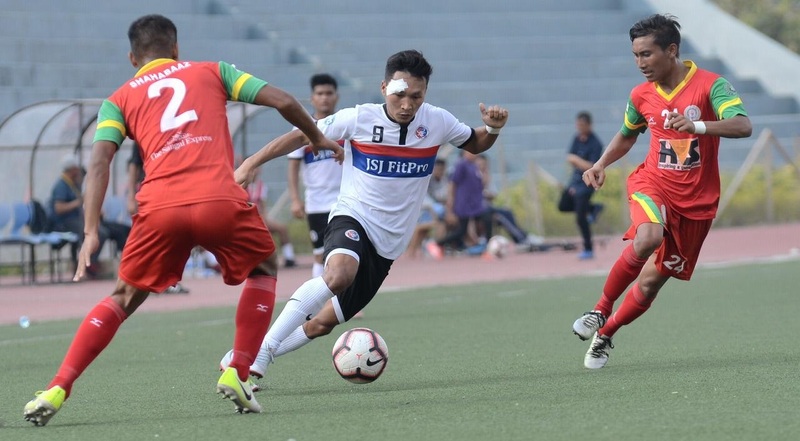 Balwant Singh was also not given a start by Bagan coach Sanjoy Sen.
From the first whistle, it looked like Bagan would hold the edge over their rivals. Back from international duty, Sony Norde kept Bengaluru defence on tenterhooks with a jinking run down the left inside channel to speed past Sandesh Jhinghan and Udanta Singh and cross from the byline, but to visiting coach Albert Roca’s relief, goalkeeper Amrinder Singh was first to it. Two minutes later, Kotal found Duffy but the Scottish striker could not keep it on target despite being unmarked. 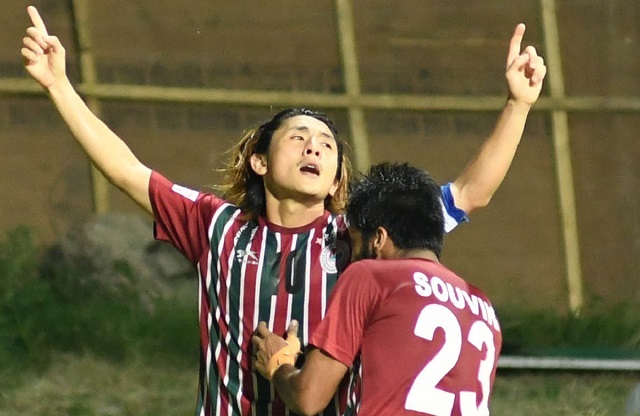 For all their industry up front, Bagan were rewarded soon when Katsumi had all the space in the world to shoot from the edge of the box with a diving Amrinder only getting his fingertips to the ball as it squirmed in. Four minutes into the half hour mark, Duffy scored his seventh goal of the season and Bagan were two goals to the good. The Scottish marksman turned in a Norde delectable free kick floated in from 30-yards to send the home supporters into a tizzy. 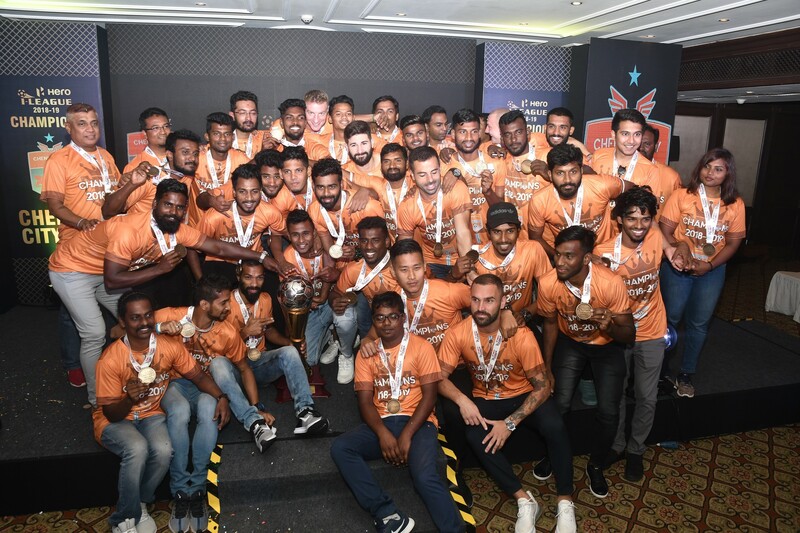 Post the breather, there was no respite for the defending champions as Norde wowed the almost full capacity crowd with a 50-yard dribble to set up Katsumi whose angled effort beat Amrinder all ends up. Norde seemed to be spreading his wings in the second half, cutting through the visitors’ midfield with poetic ease. The Haitian was involved in another move to tee up Katsumi who shot just over. Roca threw in Serbian striker Marjan Jugovic in place of CK Vineeth for a change of fortune. The Serbian tried hard, his deflected attempt coming off substitute Mandar Rao Desai’s head, forcing Debjit Mazumder into a save which he palmed into the post and out. Cameron Watson took an attempt from long range but Debjit was not troubled at all as Bengaluru’s evening was summed up.